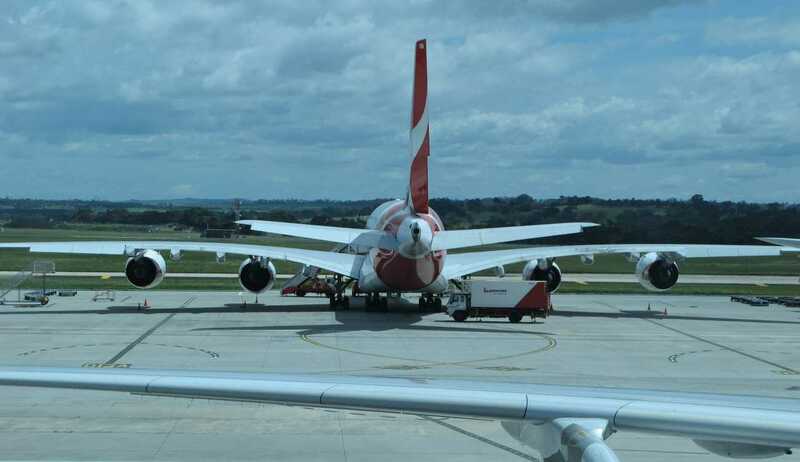 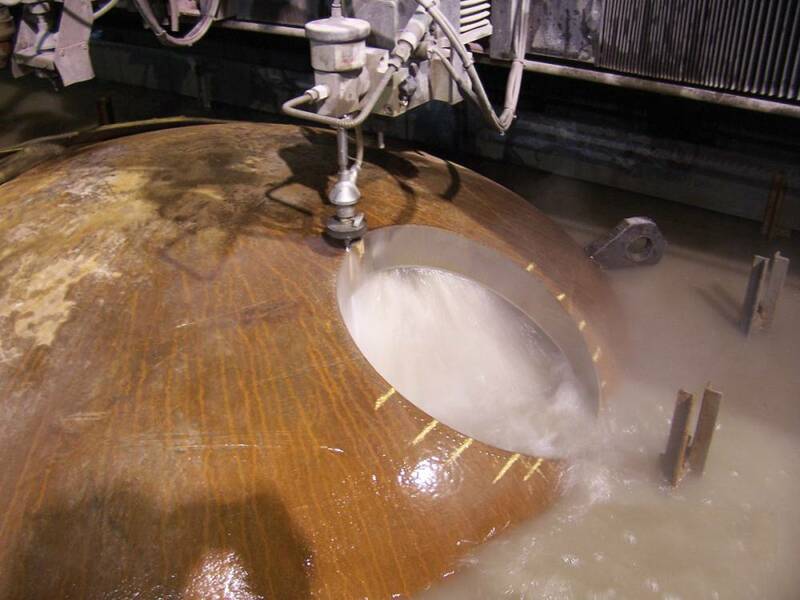 The benefits of high pressure water jets are being realised by many industries. 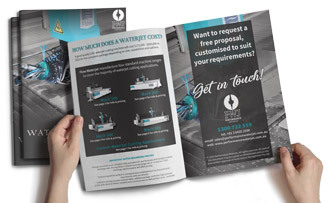 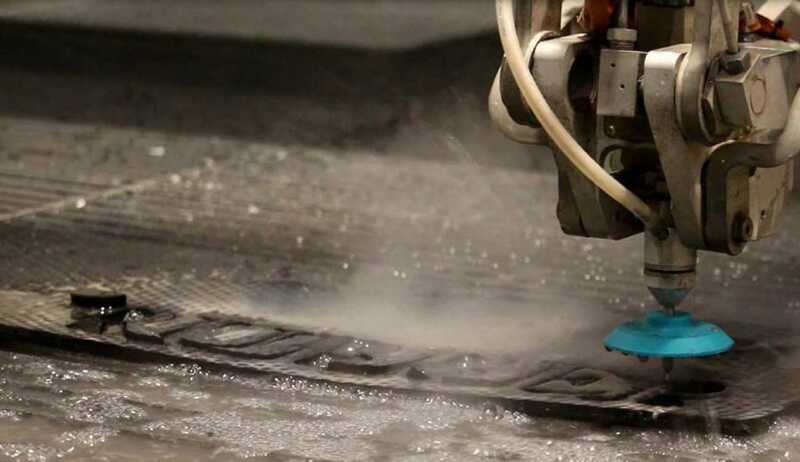 One of the fastest growing precision machine processes today, waterjet technology effectively enables a wide range of industries to benefit from significant efficiency gains and to achieve high productivity, whilst being extremely cost effective and environmentally sustainable. 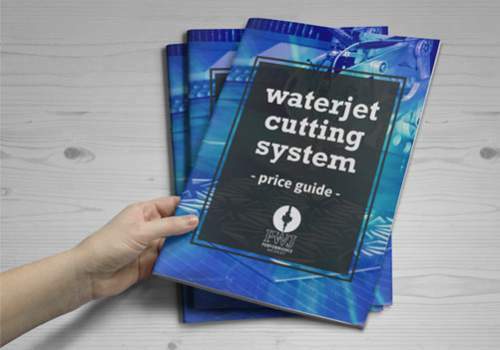 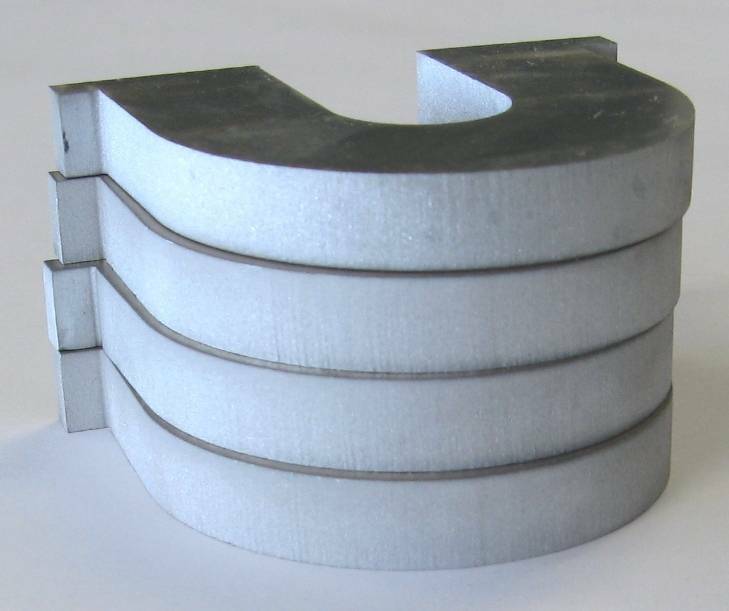 What can a waterjet cut? 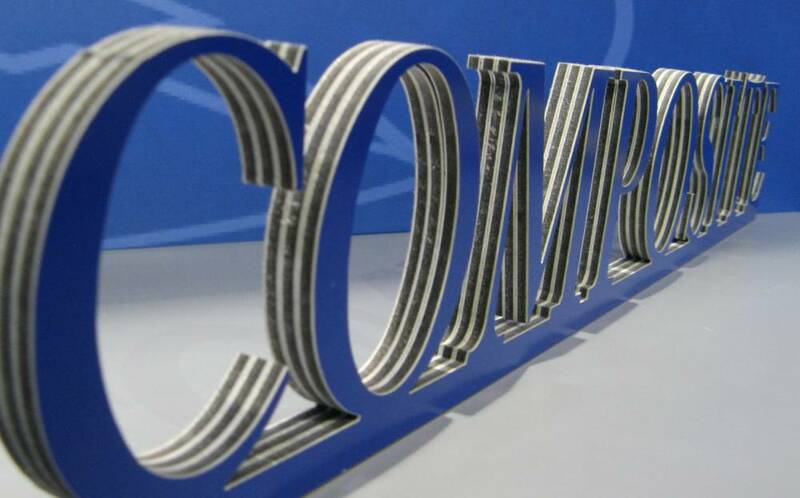 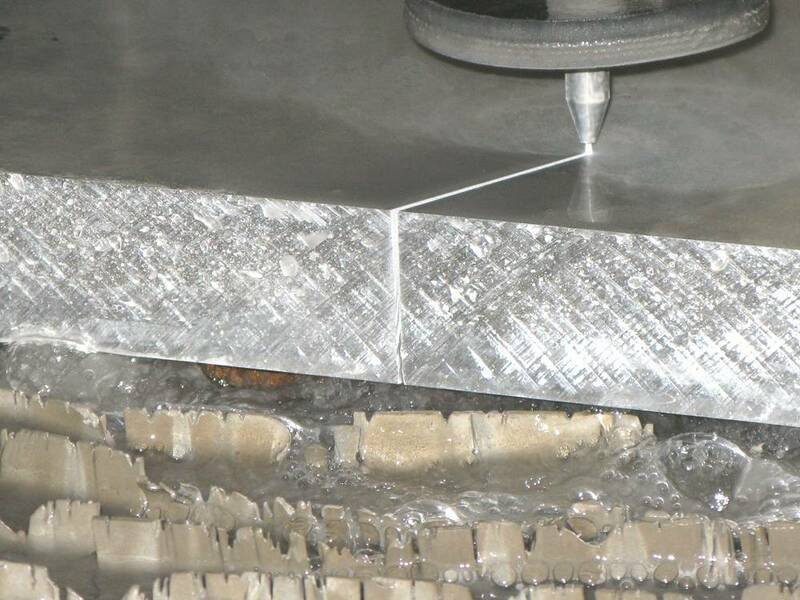 Read on to see how you can apply this fast, efficient and cost-effective cutting process to your industry. 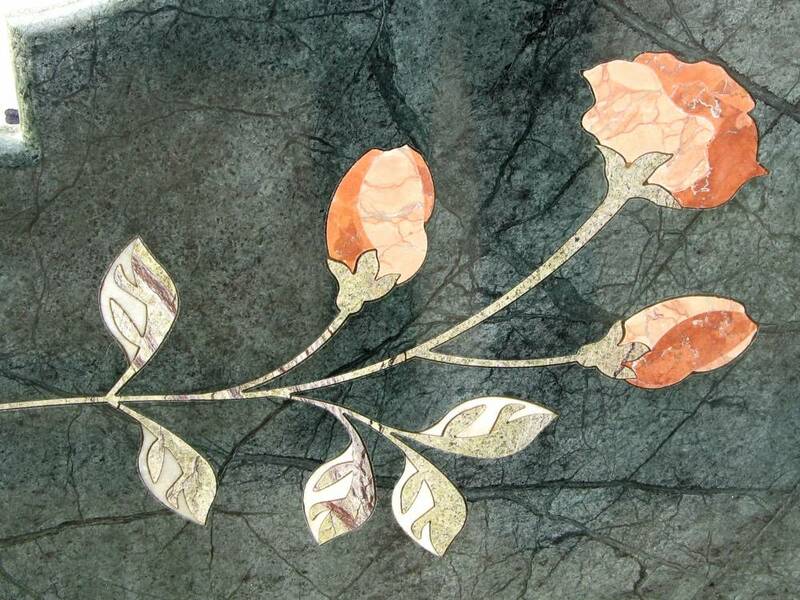 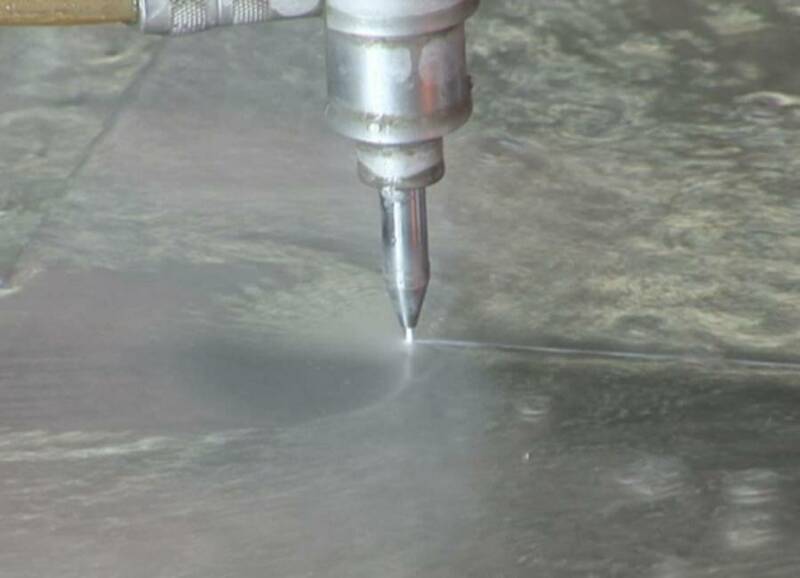 Abrasive waterjet cutting machines efficiently cut stone, marble, ceramics, porcelain and tile. 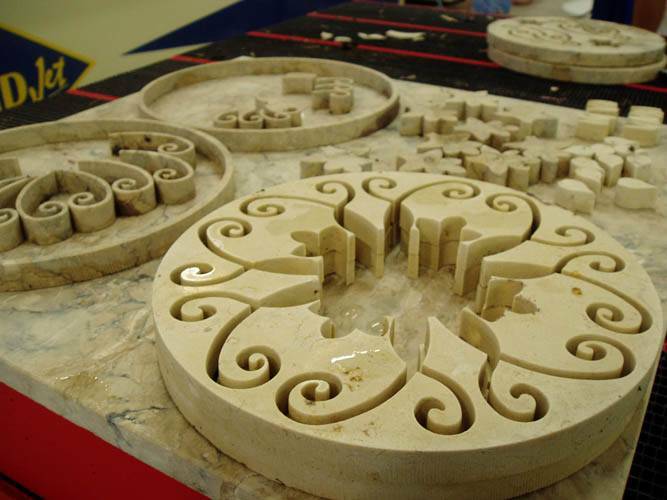 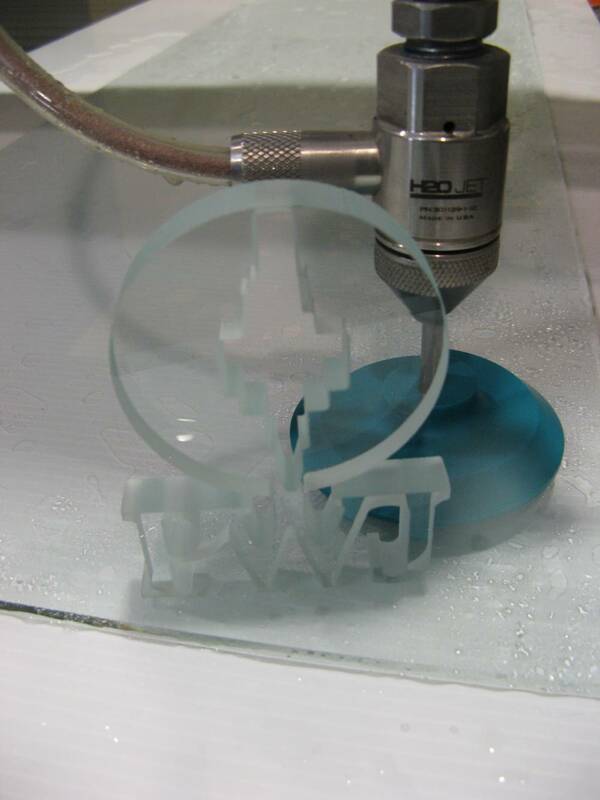 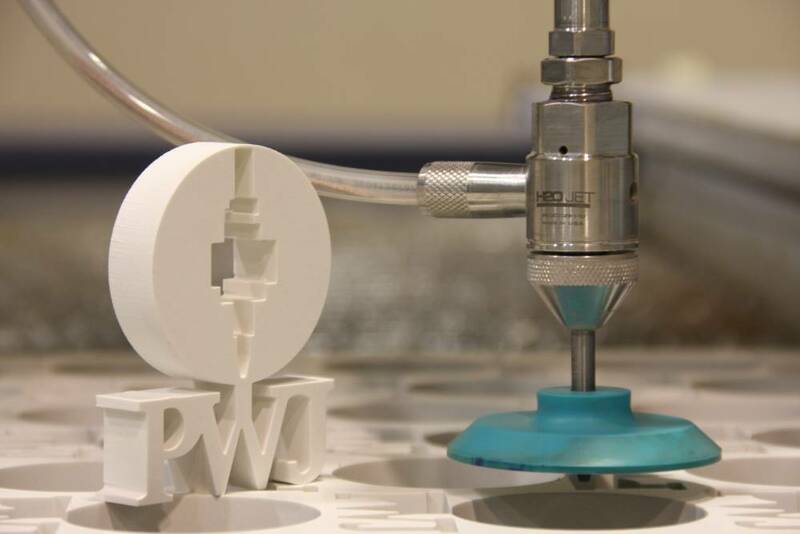 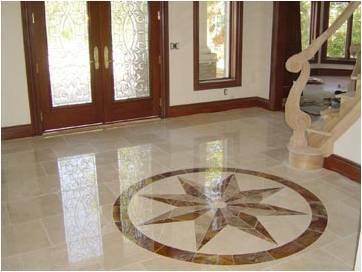 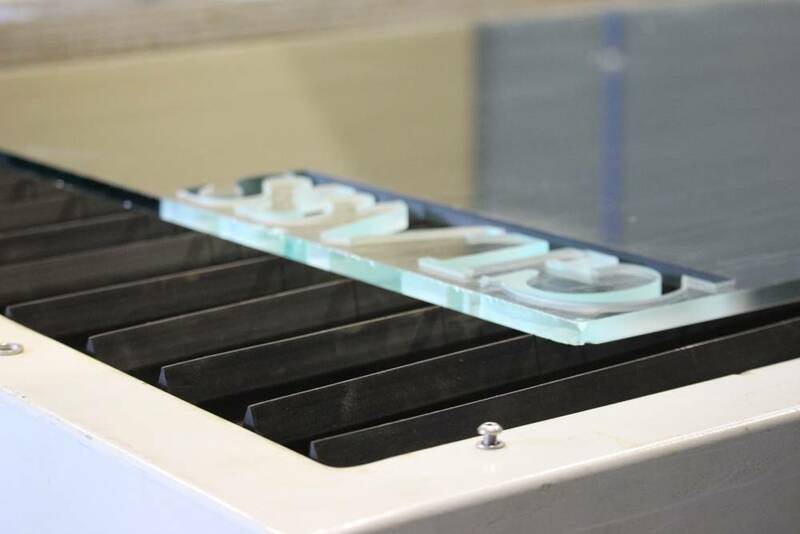 Waterjet cutting is ideal for the insertion of inlays, and logos for stone and tile applications, as the process effectively maximizes performance, reduces cost and increases profit. 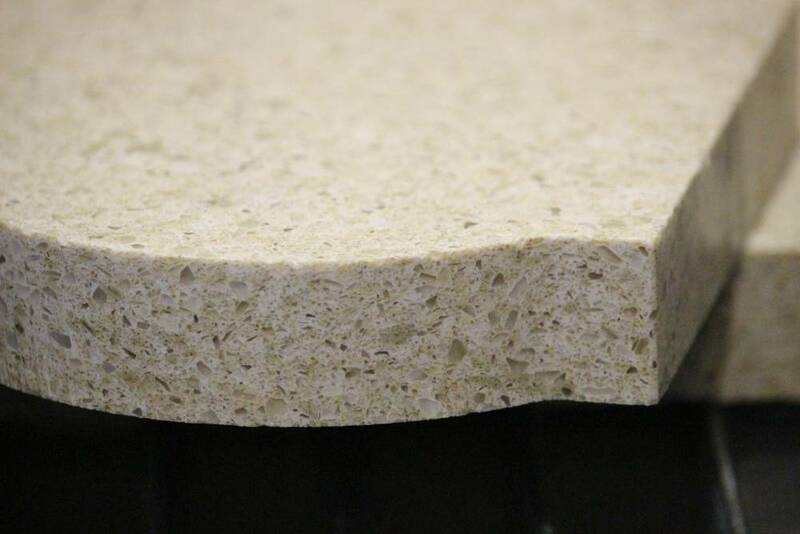 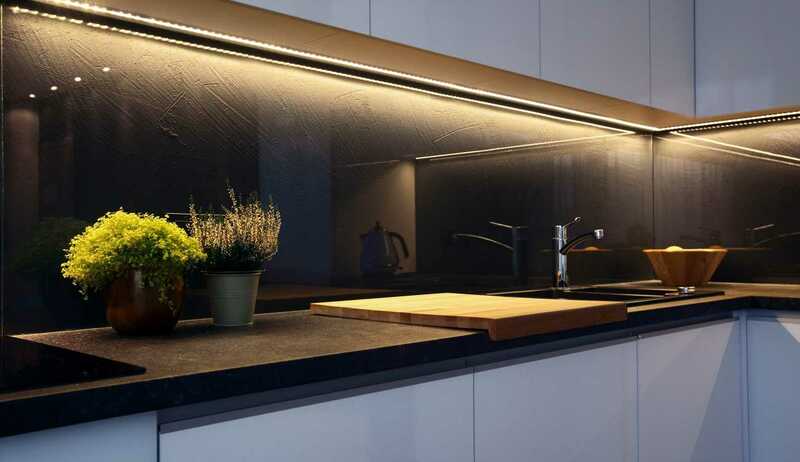 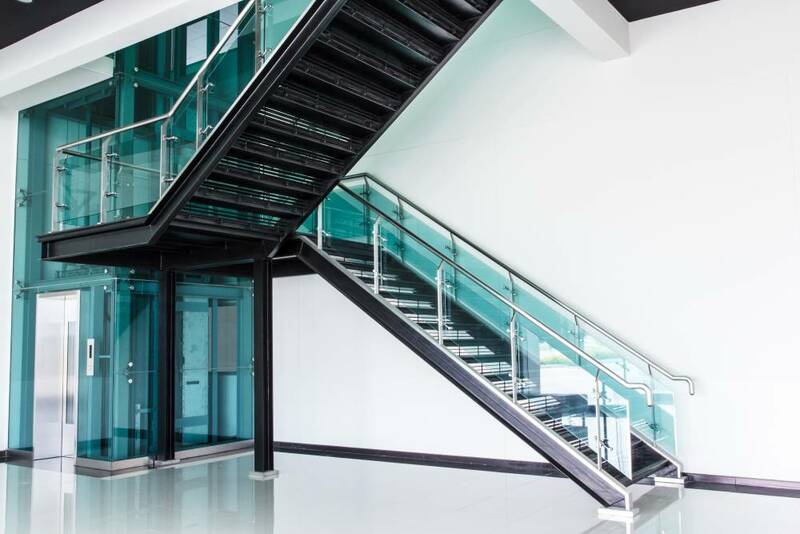 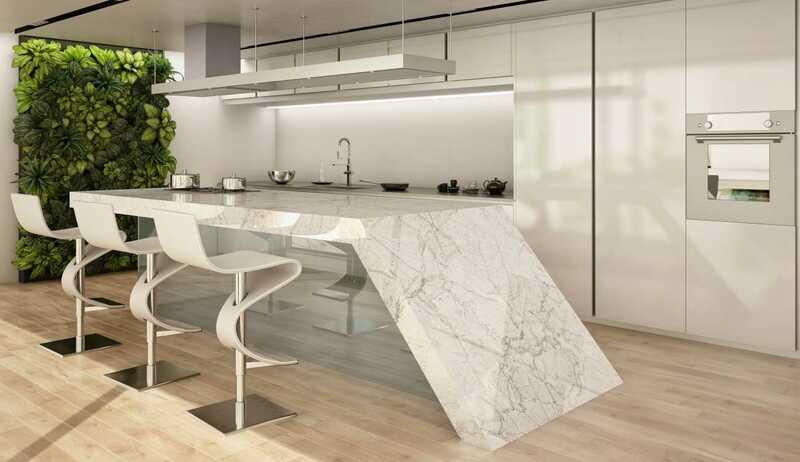 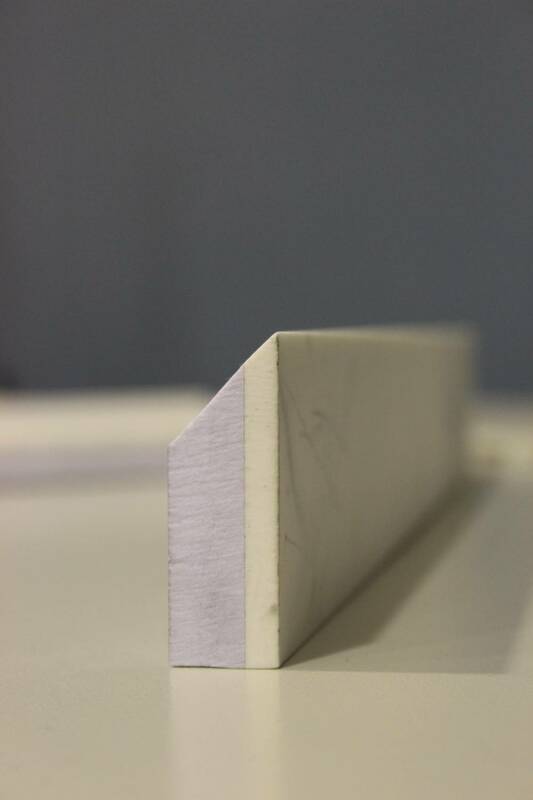 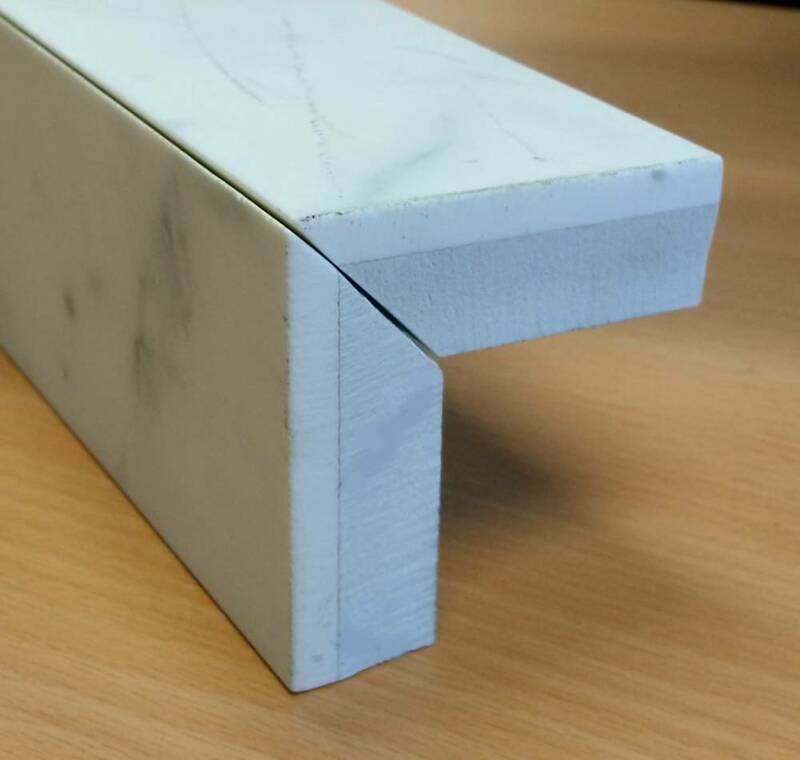 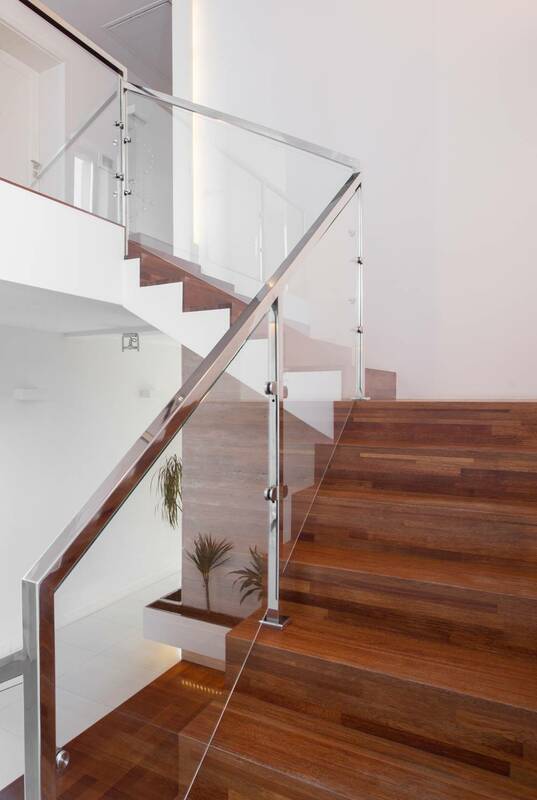 New generation ultra-hard ceramics such as Dekton and porcelain present many advantages for the end user, however for fabricators to cut and mitre these materials with conventional equipment... it is simply too slow and causes bottlenecks in production. 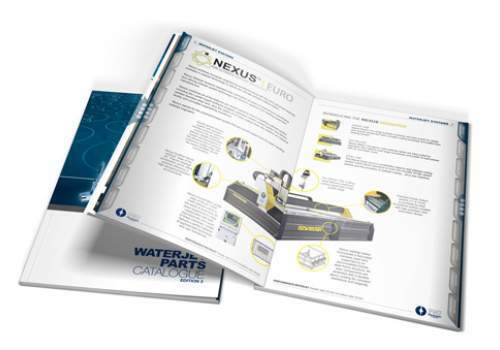 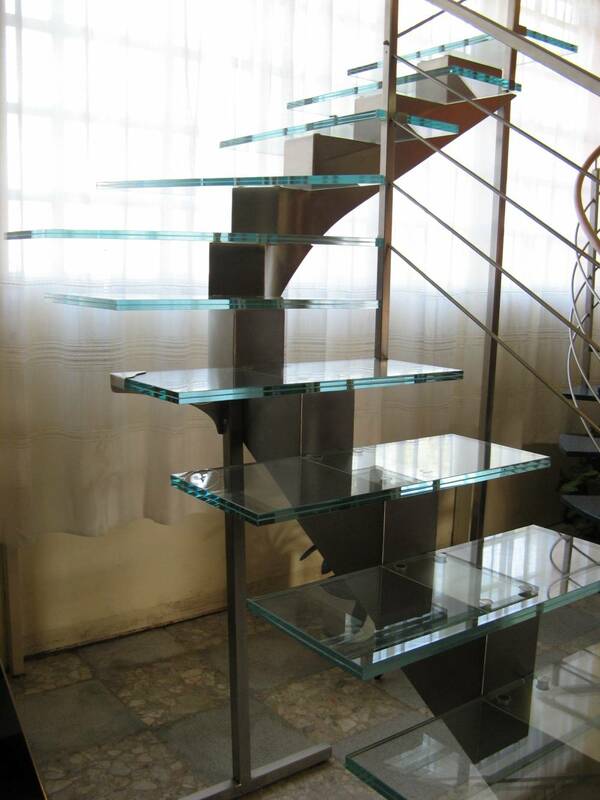 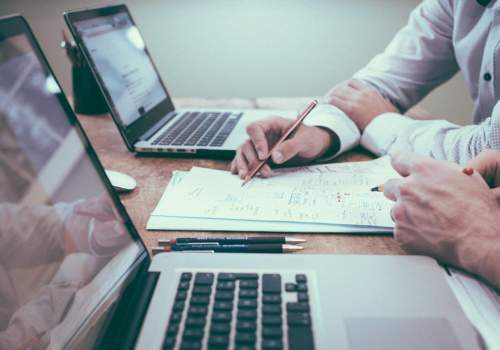 Nexus systems use proven technology to deliver the highest production rates and workshop efficiencies for stone fabricators. 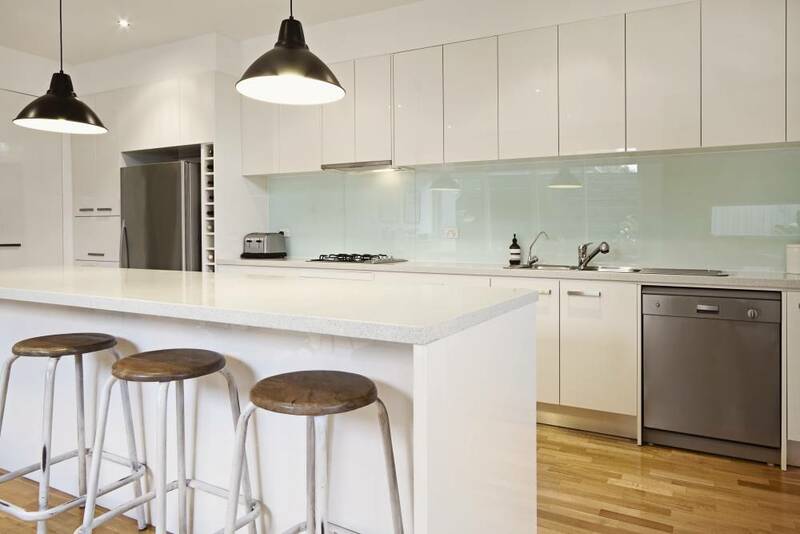 For Nexus owners, this means more kitchens per week with less operating hours and a lower cost per kitchen. 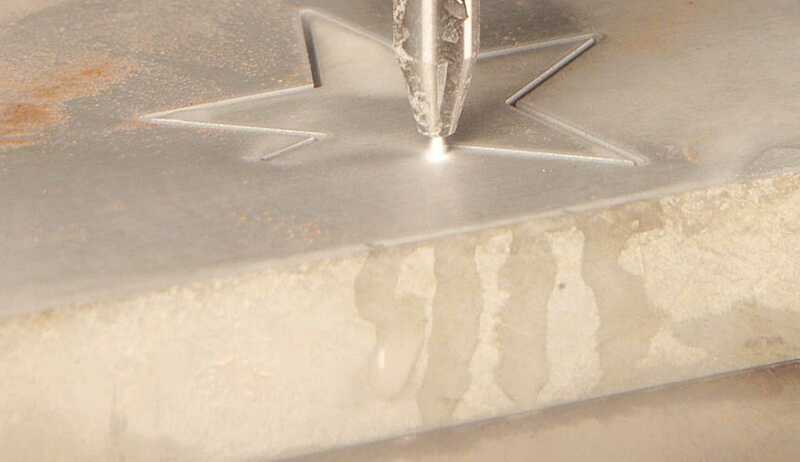 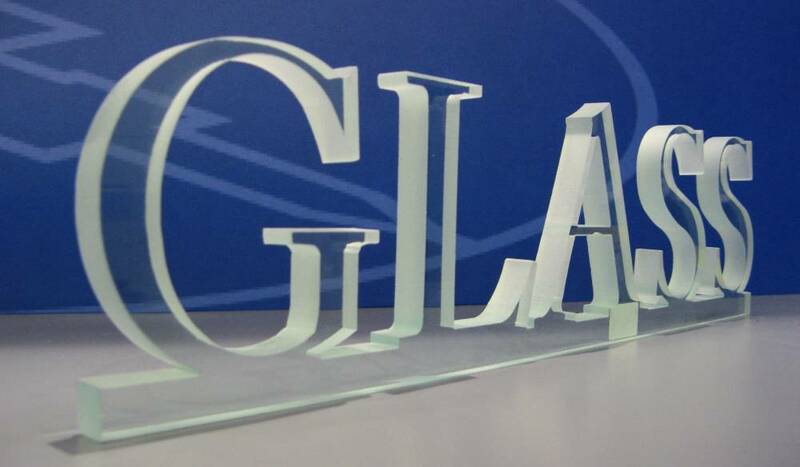 This is because waterjet creates a clean cut with exceptional edge quality that does not require a secondary finishing, making it one of the most versatile and efficient cutting processes available today. 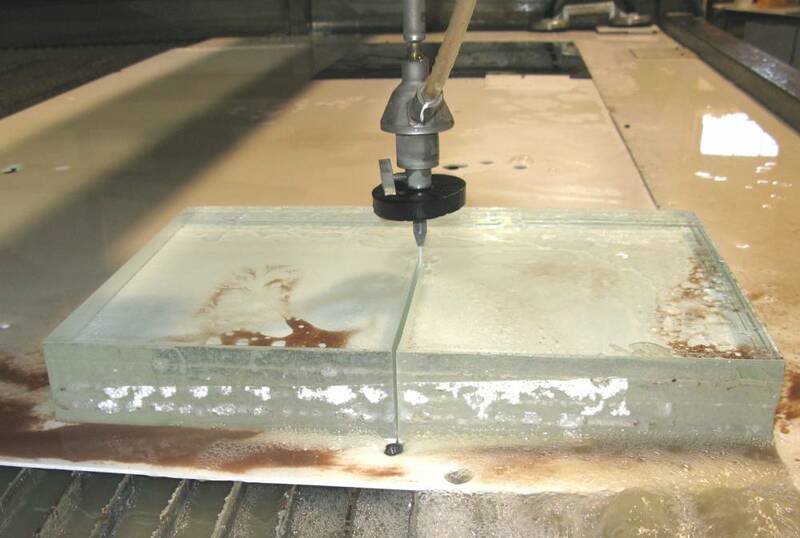 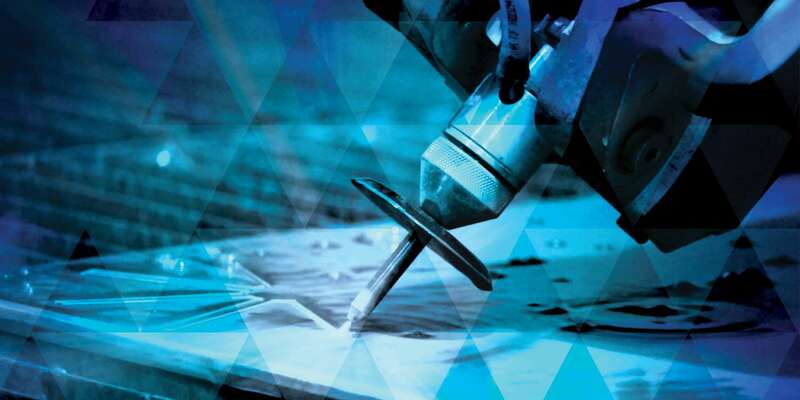 Waterjet is also a cold cutting process which means it is ideal for cutting metal as there are no heat effected zones on any part of the workpiece. 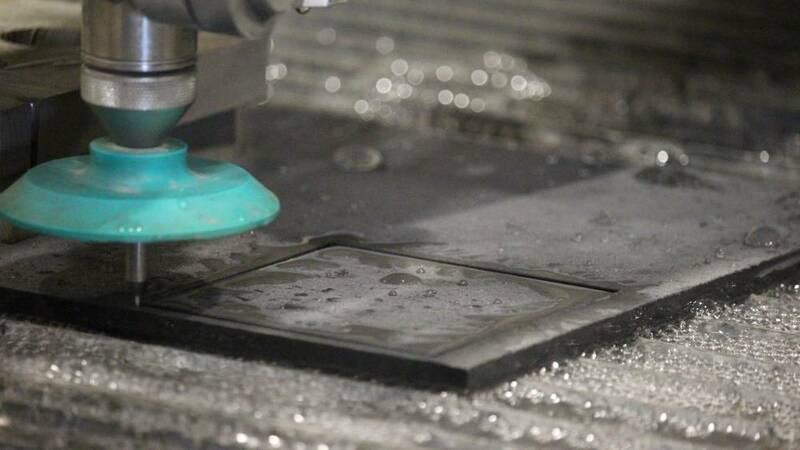 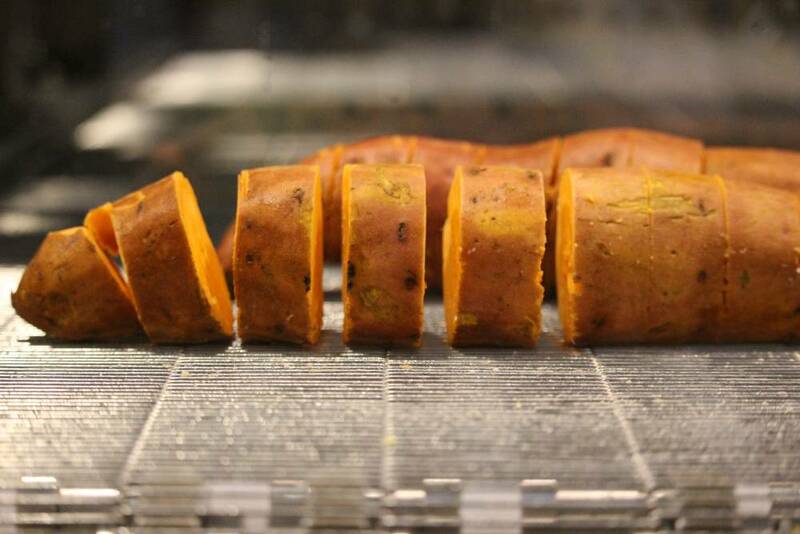 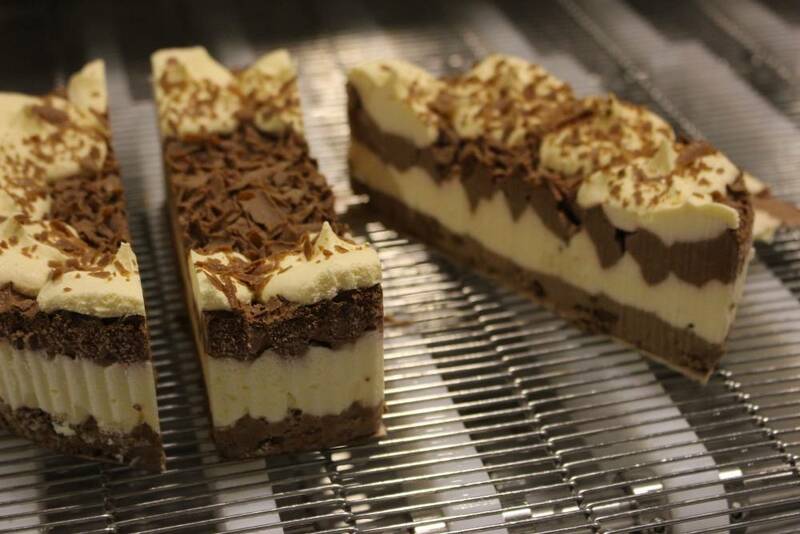 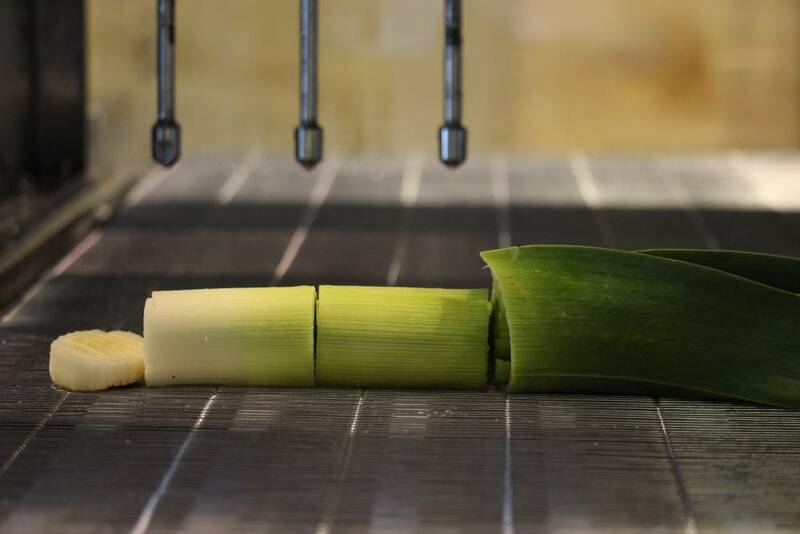 For decades waterjet has been used effectively for food cutting applications as it eliminates problems caused by cross-contamination while producing high quality cuts. 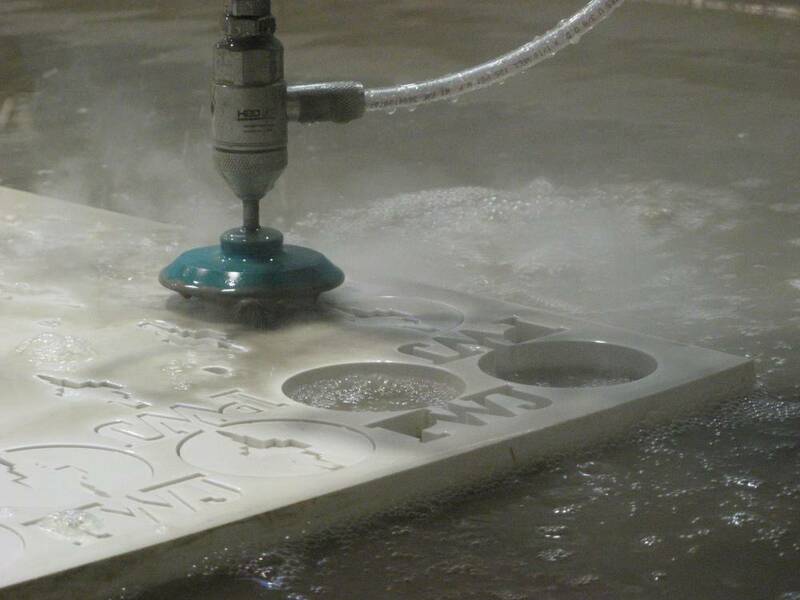 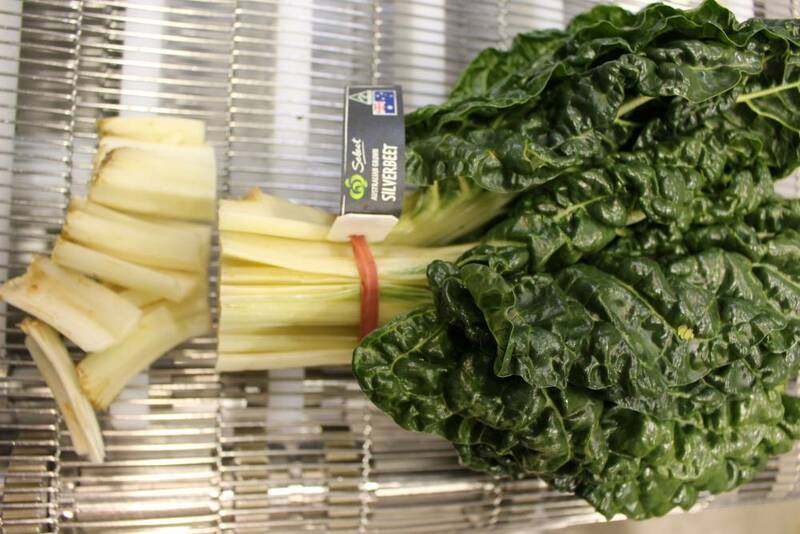 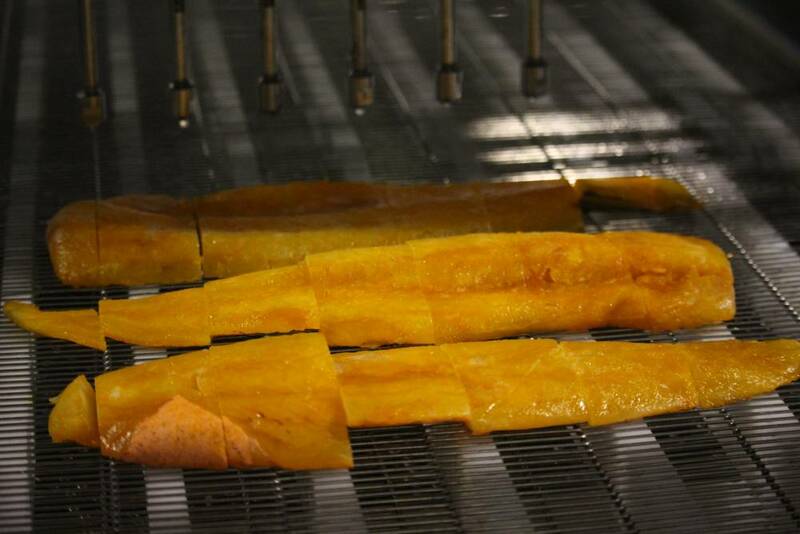 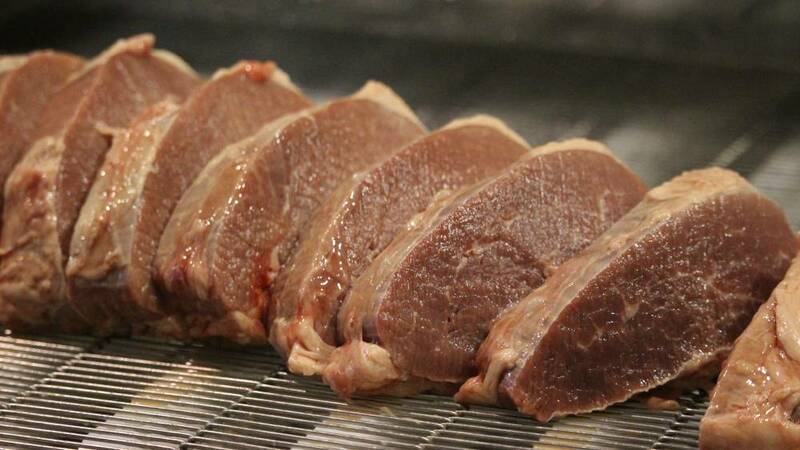 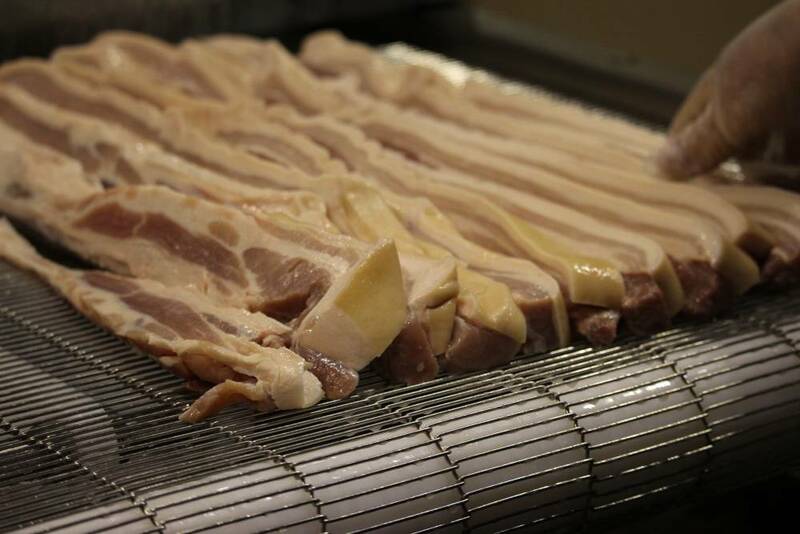 Today, waterjet is used to cut a wide variety of food products including fresh vegetables and meat products. 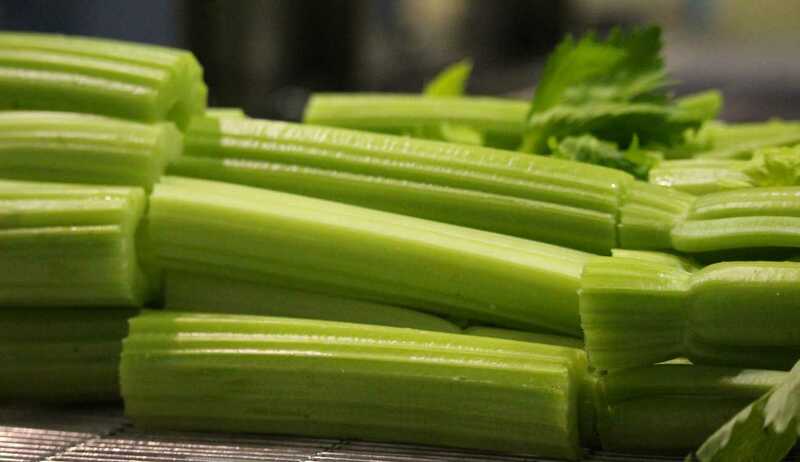 It has proved to be an ideal method of portioning chicken, celery and fish. 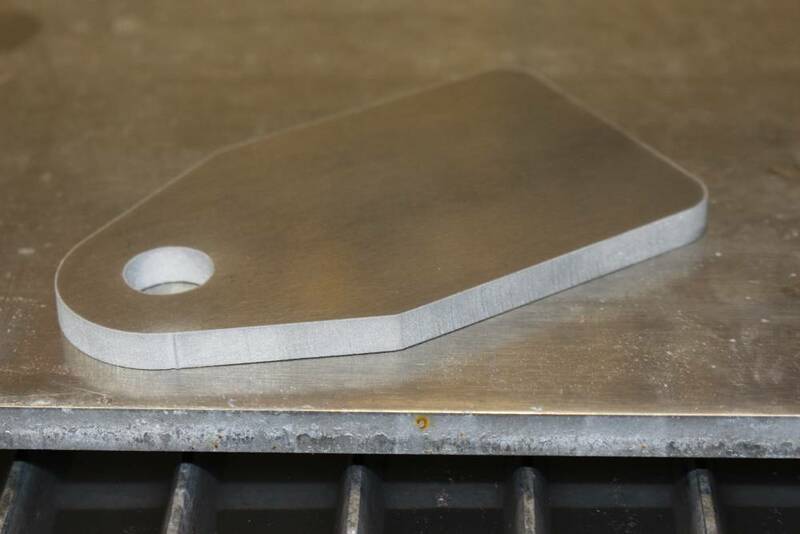 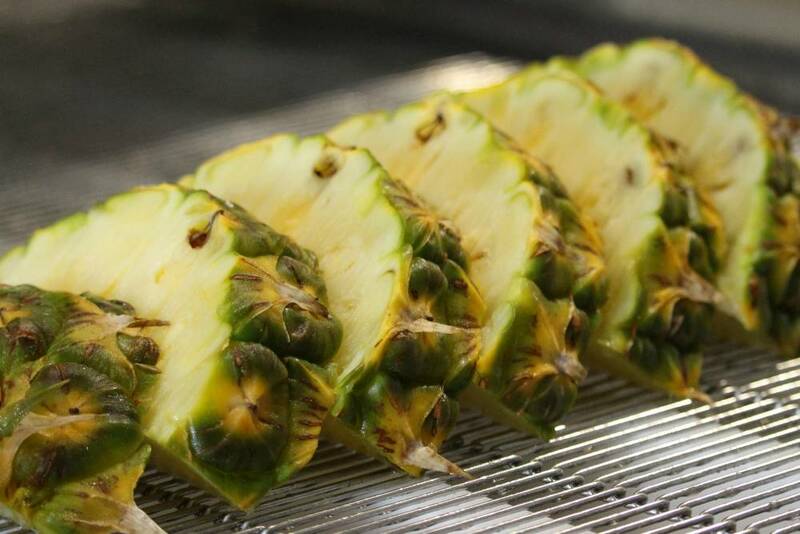 Waterjet is becoming increasingly popular for portioning produce and food products as it delivers amazing time savings, increases product shelf life and reduces risk of cross-contamination inherently caused by cutting with blades. 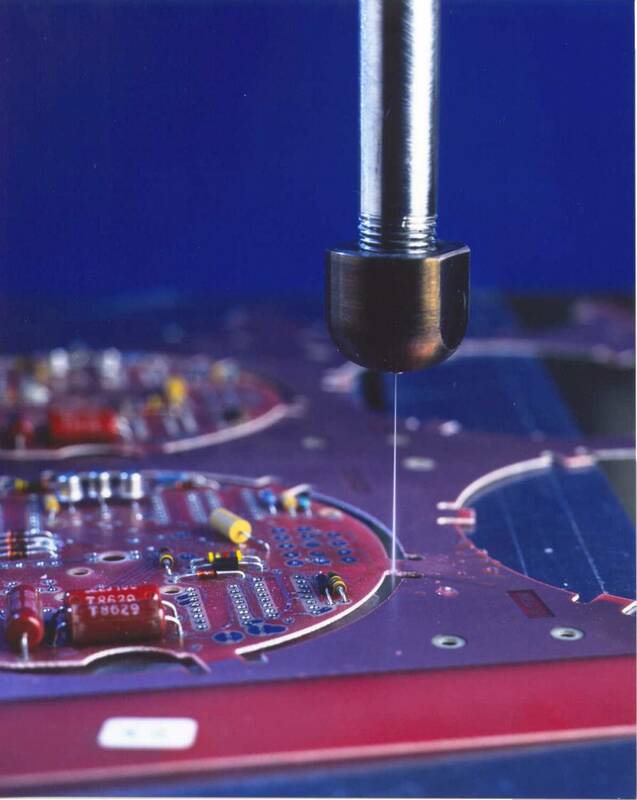 Waterjet cutting machines have been used for many years in the automotive industry due to its ability to be integrated with robotic systems. 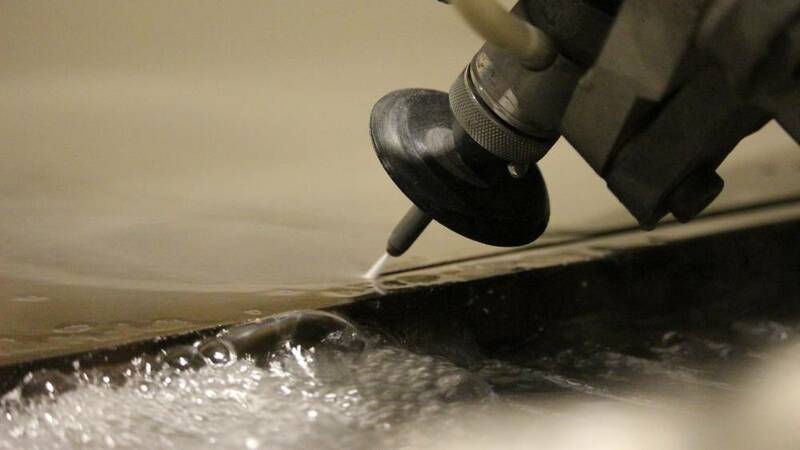 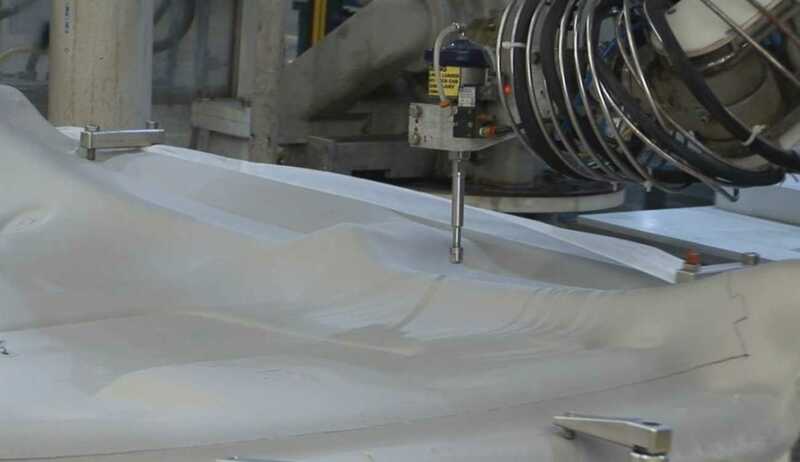 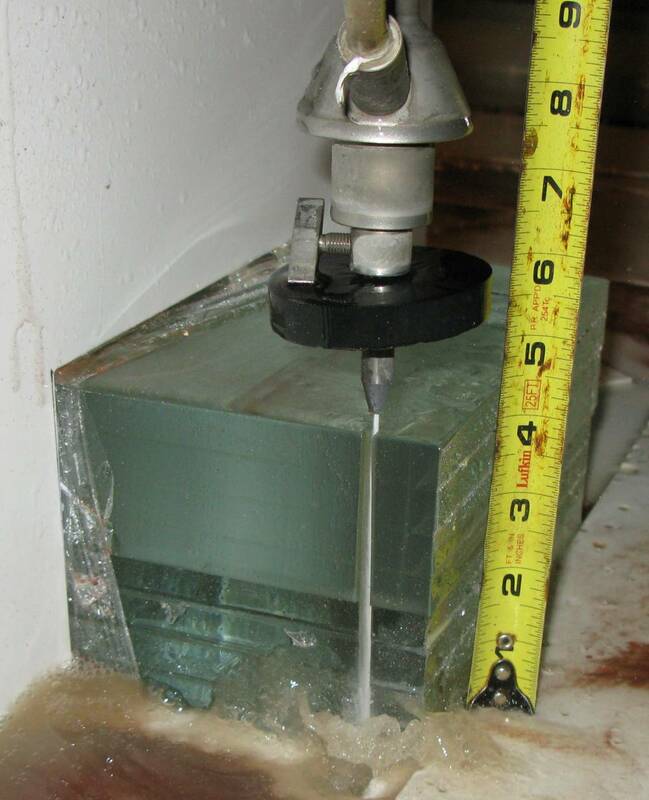 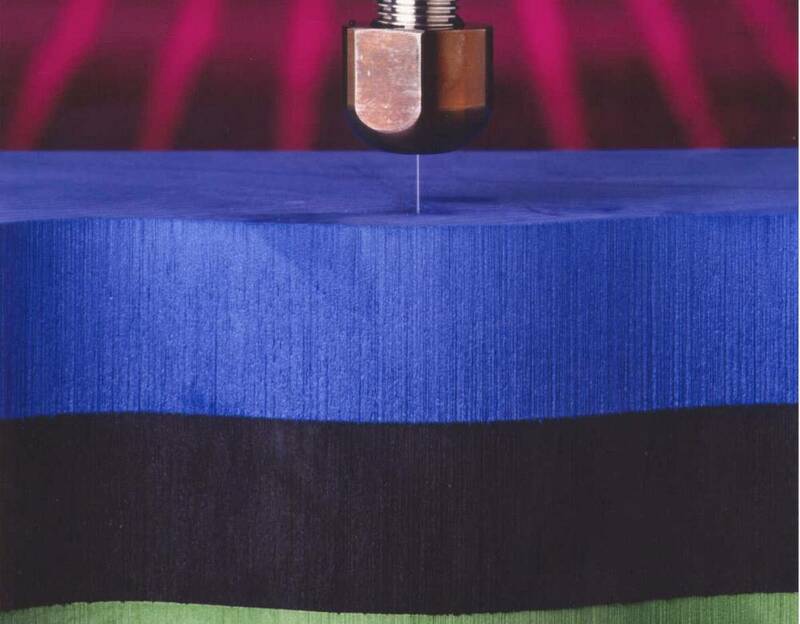 Water-only cutting (no abrasive) is the preferred tool for production of interior carpets, insulation, and head linings, as it produces minimal material waste with no mess. 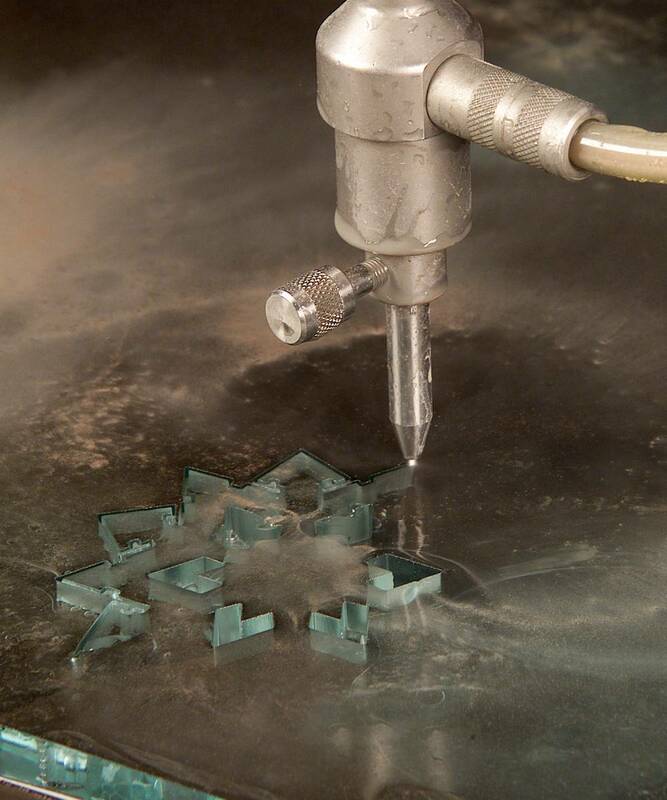 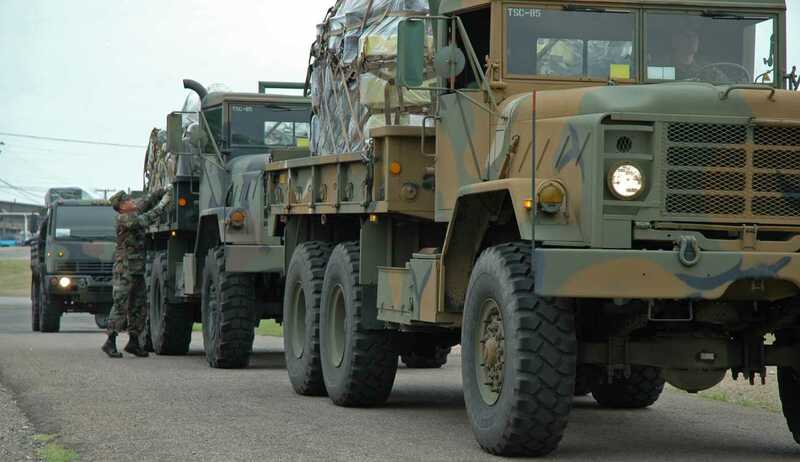 Cutting applications for the defence and military industry include shaping, armour plating, bullet-proof glass and composites. 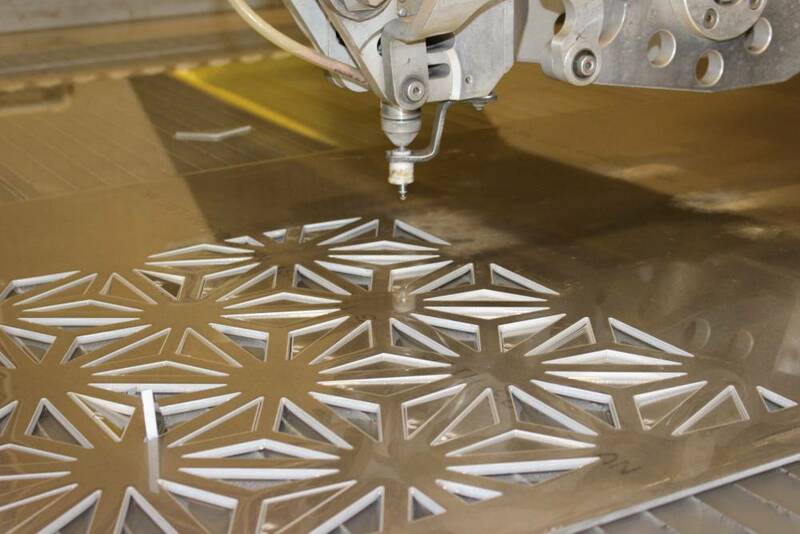 Because waterjet is a cold cutting process it is one of the few processes suitable for cutting these materials without changing molecular structure and reducing strength. 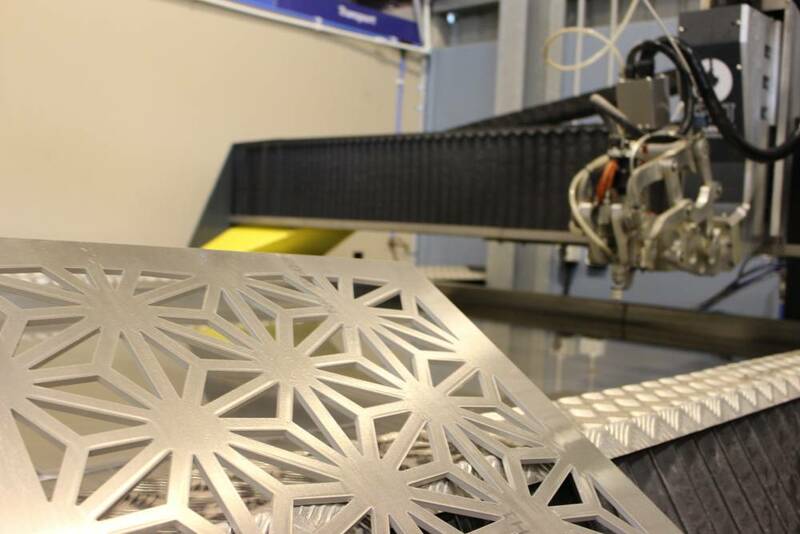 The defence and military manufacturing industry depends on waterjet cutting. 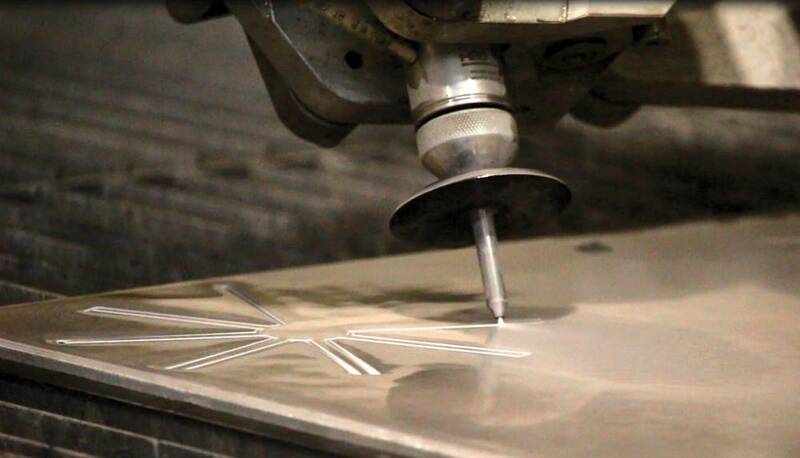 Waterjet cutting is used for many applications due to the speed, reliability and exceptional edge quality waterjet offers. 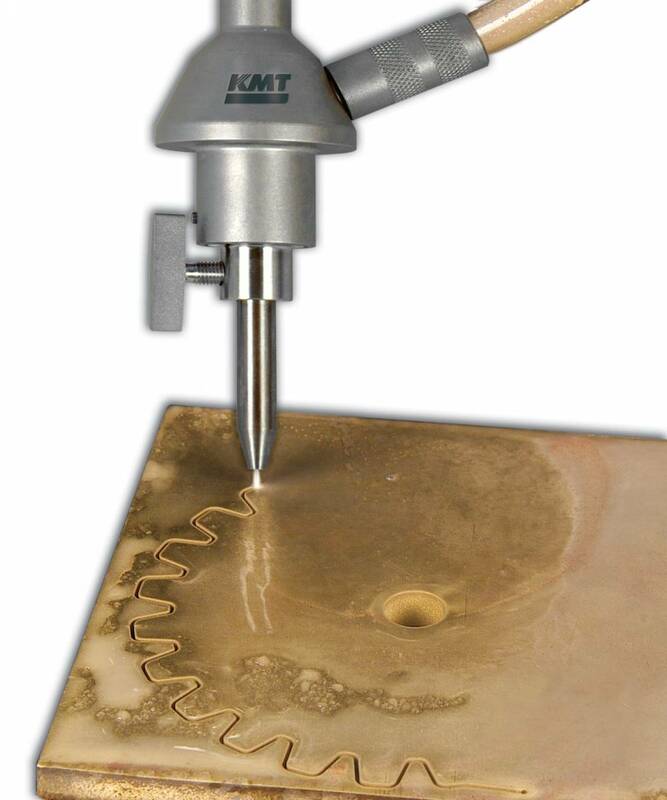 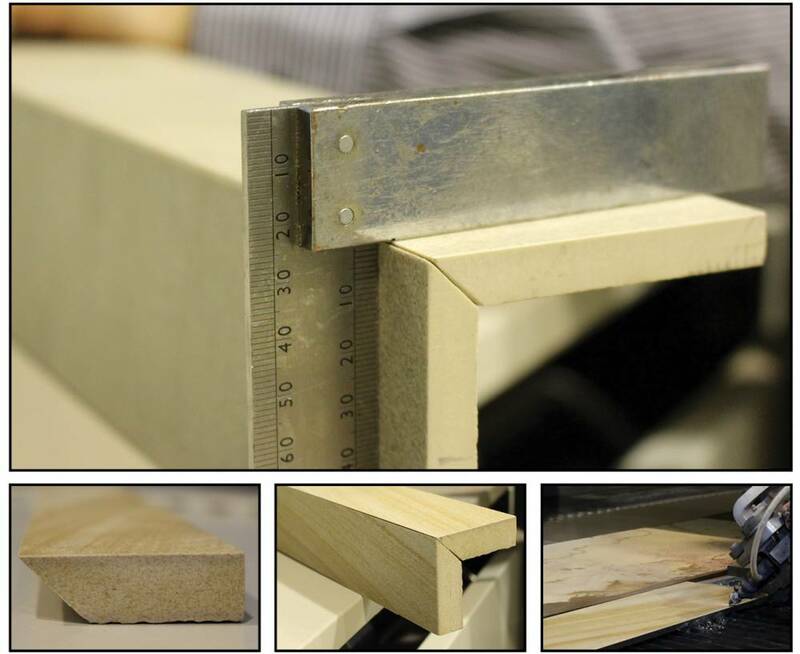 It is a very popular process for cutting rubber, foam, fabric, insulation, plasterboard, circuit boards, nappies, plastics, leather and fibreglass as the process is very fast and there is little material wastage. 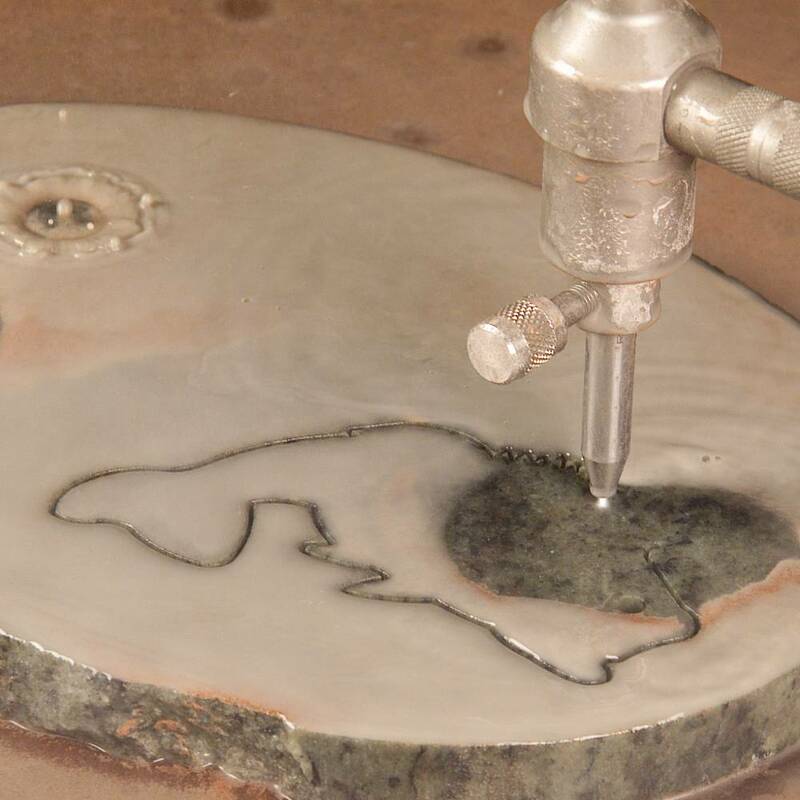 Waterjet can cut virtually any material including copper, brass, bisalloy, tempered steel, titanium and other exotic metals. 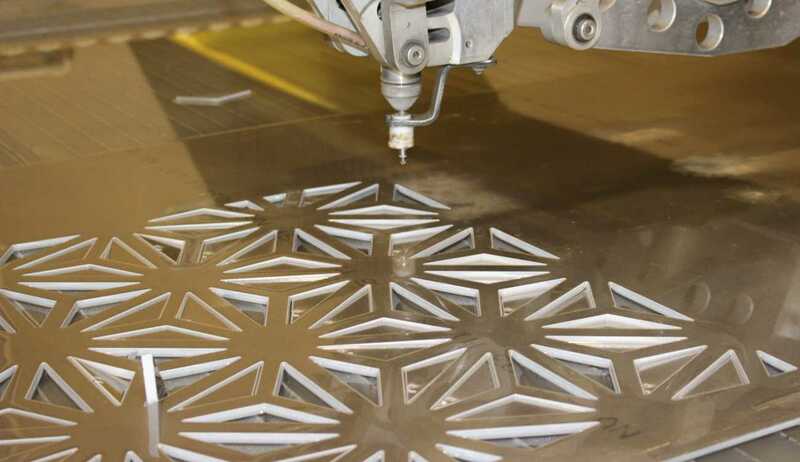 Abrasive waterjet can cut material up to 200mm thick whilst leaving no heat affected zones, as well as cutting intricate parts with high precision whilst maintaining a high tolerance range.